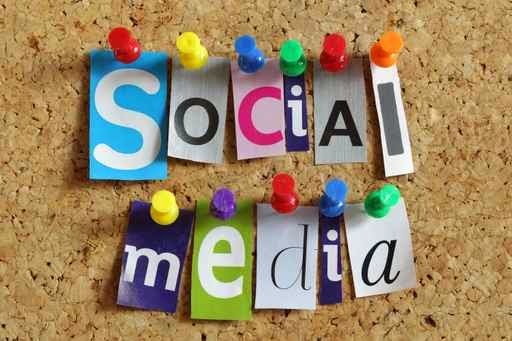 Wondering which social media for business? It might seem to some of us that social media and sharing have taken over the universe! Every website you go on has a bunch of buttons marked share, while Facebook, Twitter and Google icons are everywhere. Is this just a craze, or a genuinely useful and viable strategy for getting your project or website out there? Well, you’re about to find out just how useful social media can be, how to use it, and some great social media campaign ideas. Social Media is about engagement. It’s about building a relationship with your target audience, with the goal in mind that the people you’re interacting with will eventually become loyal customers. People who interact with you via Social Media will come to love your brand, love what you stand for, and most importantly - recommend you to others. So why is social media good for business? Social media is the way in which people network with each other online, exchange information and ideas, or sell products and services. If you run a small business, you definitely need to be looking at ways to expand and reach as many people as possible. Thanks to the advent of social networking technology, you can now widen your scope by starting to look at which social media to use for your business. Is social media good for your business regardless of what products or services you offer? Well the simple answer is yes it is, and you do not have to be a whizz kid to learn how to represent and market your business on social media platforms. It is very easy, can be fun and entertaining…and the results are measurable. For all social media networks, you will have to create an account (for login and access). This is free. Give the account your name, or that of your business, and wherever possible always put your main SEO keywords in the name / title of your social page. So for example, if you are a hairdresser in a particular area of London specialising in women’s styles, your profile name should include your location, business type and specialism, using words and phrases you might expect visitors to use when searching for you online. In our example it might be “Wendy’s Women’s Hairdresser Islington North London”. The type of thing you post on your social media profiles will vary according to your customers’ interests, but you should always post engaging content that visitors will want to follow and read for genuine information or entertainment. Also, mentioning your local area in posts is good for local SEO. Social media campaign ideas: how do businesses use social media? This is great for just about any business. The main thing about a well SEO optimised local targeted Google + page is that it can feature in Google search results. A Google business page is a must for anyone serious about being found online! Your business page itself can shoot to the top of the search listings if you do it right. Another awesome thing about Google + is that you can have customers review your services and post them on your page. The number of reviews and stars you have will appear in any search results too. Build a great Google + page by posting helpful and educative information about your products and services, or simply sharing something fun or exciting. You can post and share with the public, or with people in certain designated “circles” if you want to target a specific group of people interested in a particular service or offer. Facebook is by far the most popular social media platform., with more than a billion users across the world. You will need to create a “fan page” or “business page” and you can give it a name that uses your best SEO keywords. Use your logo or a picture of your product on your profile to help your brand grow. After populating the page with a selection of posts to get it started, you will have to promote it, collecting people that have opted to get your posts on their news feed by “liking” the page. When they think something you have posted is good, they can comment on it, share with their friends who in turn share with their friends, and ideally the sharing goes on and on. Facebook allows every user to have 5000 friends! Once you’ve created your fan page, invite all your friends to like it. Then engage them by posting regular awesome and engaging stuff about your business, products or services. Keep updating your page with fresh content all the time, and monitor the communication between yourself and your fans. Pinterest is great for people who run a “visual” business. You can upload, save, sort, and manage images (called pins), as collections known as pinboards. If for example you are a hairdresser, a fashion designer, landscape gardener or a cake making and decoration business, you can use Pinterest to get your creations seen by the public. Pinterest is free to use and you can post as many pictures as you like. To use Pinterest for business, create different Pinterest boards with educational, fun and inspiring information for your customers. Using Group Boards, find pinners who have huge followings to reach more people with your own pinned content. Twitter is great for anyone who is launching a new business or product. It is the best way of passing on information in short, focused posts (tweets) to people who are following you. You can participate in real-time events and conversations, and receive instant feedback about your services or products. Twitter allows you to announce upcoming events and promotions, coupon codes etc, post photos, post updates and thoughts, and be generally sociable all in the space of 140 maximum characters per tweet. Branding is very important when using twitter for business. It is very focused… you can target with precision to connect with the right people. Businesses can enhance their online brand personality, by the content they engage people with, and by the way they make use of visuals such as logos and placing a message or picture on their page background. A great use for twitter is to answer any questions customers may have. LinkedIn is a network especially dedicated to members’ professional identity. Most businesses need to hire a professional to help with something at some point (for example, you may need to hire a bookkeeper or web designer), and the best social media network to look for professionals that have been recommended by other professionals you are connected with is LinkedIn. With millions of members, you can be sure of finding someone suitable for the task from your area, and you can see their CV online. Once you are a member, you can start connecting with other professionals in your circle of friends and acquaintances, endorse people for skills and be endorsed yourself. You can expand your pool of connections to people who are connected to your own connections, or connect to businesses who might want your services in the future. It really is the ultimate trust and recommendation based platform, where you can network, hire and get hired yourself. The main purpose of LinkedIn is to build contacts. You can create a LinkedIn company page for your business. Note that you have to create a profile on LinkedIn and then as you complete your CV, your company page will be linked to it. • Connecting with people who are either: in your industry, a potential business lead or a generally a good contact. • Updating your profile on a regular basis.